I'm so glad you compared these because I was definitely thinking they were dupes--obviously not, from your pictures, but close enough for me lol! Thank you for this post! I was thinking that they looked alike but I don't own Wicked Game. May I link this post to my blog posting where I talk about Not Like The Movies? Thank you so much for this comparison....I planned on skipping this one because I thought it was too similar to Wicked Game. But I'm gonna get it now that I know it's different. I love the glitters. I think they are both worth having, since they are a bit different in color and finish. But I can definitely see how they are similar enough that many people might not want/need both. Than you for this comparison! 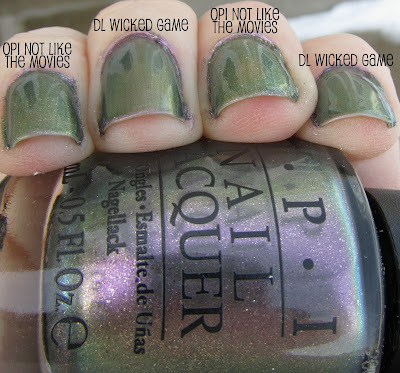 I have been drooling over Not Like the Movies, but I never made the connection to Wicked Game (which I already own). I think I might pass on Not Like the Movies. Both are such beautiful colors though! 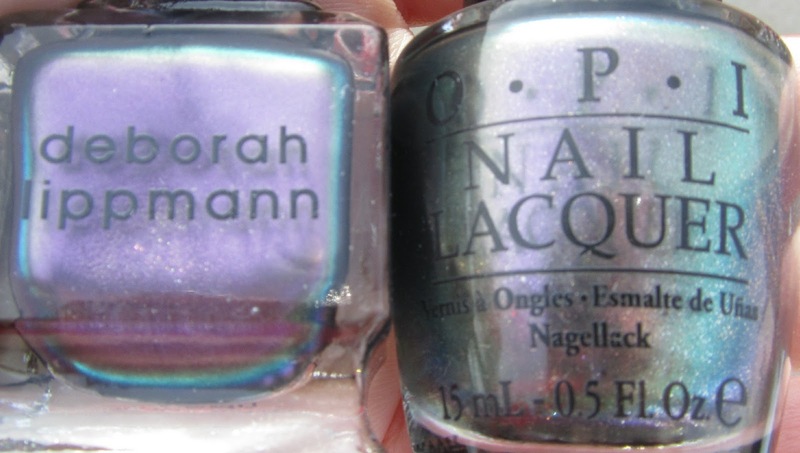 Apparently, one of the new polishes Essence will be releasing in March is said to be a dupe for the OPI. It'll be on the Colour&Go line. 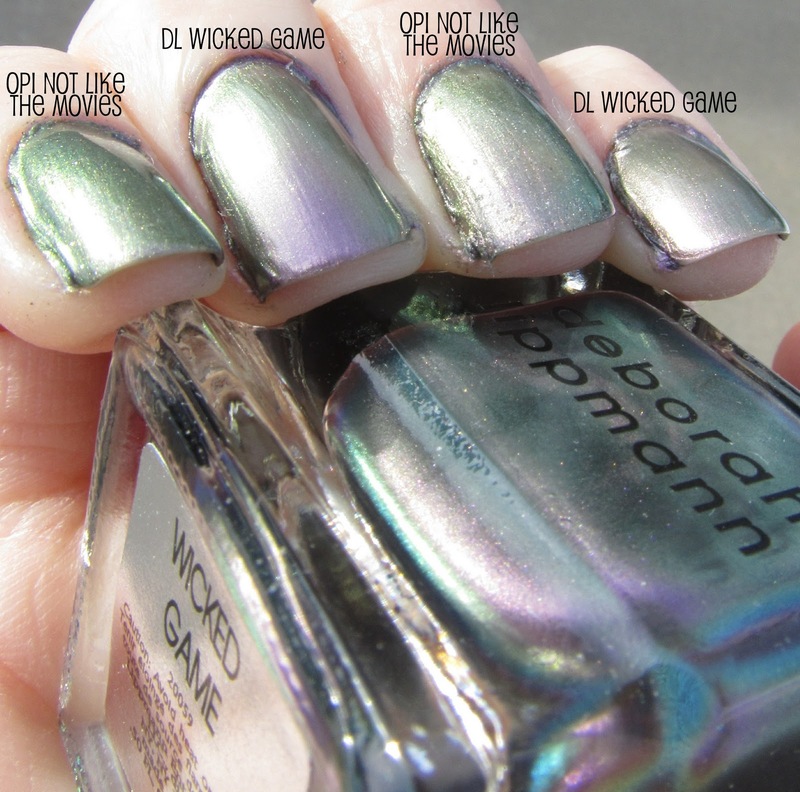 if you like lippmans wicked game get WetNWild fast dry in 237c - aka- gray's anatomy. 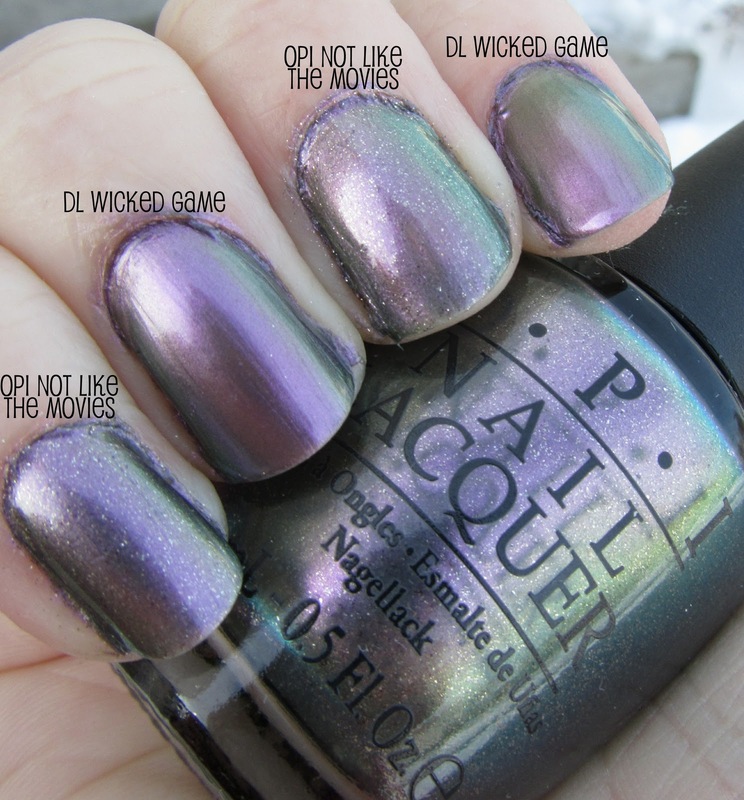 dead on dupe for lippmans wicked game (see scrangie's comparison pics) it has no glitter like the opi katy perry "not like the movies" and its' way cheaper than both! 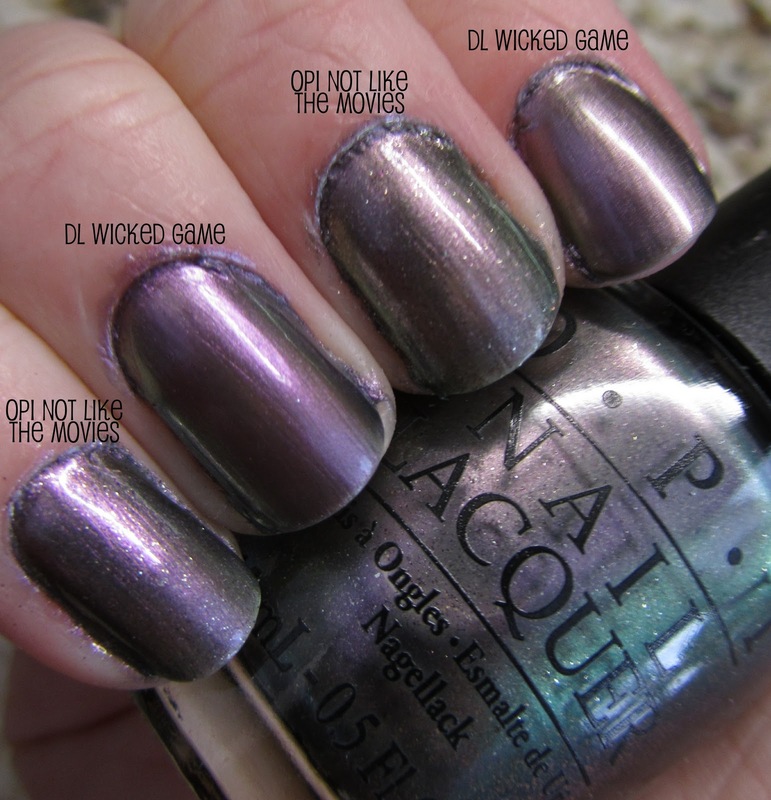 Yeah but Lauri!, the WetnWild Gray's Anatomy is a dupe of OPI's! Please don't be fooled, on a scale of 1 to 5, 5 being exact replica of Lippman's , the. WetnWild's is a 4,& I can tell, & I'm a guy! Just get the real deal polish it Deb Lippamans Wicked Game toes down! I love this duo-chrome more of us guys should wear it! Peace up all! I don't know how you stopped biting your nails. I'm 32 and started at 11. It's impossible for me to stop. Not that I've ever really, really tried. But still. It's got to stop! You've been gone far too long again now. Come back!